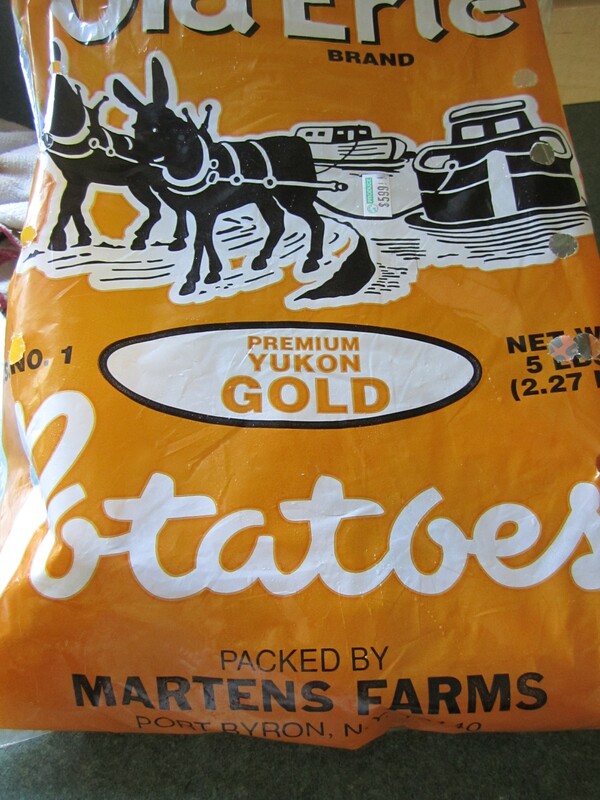 When I was growing up, these were a traditional side dish that my Mom would make on a regular basis. Not my favorite back then. But, who knows why, my tastes have changed and now I really enjoy them. My husband and daughter have always liked them and my son feels as I did. 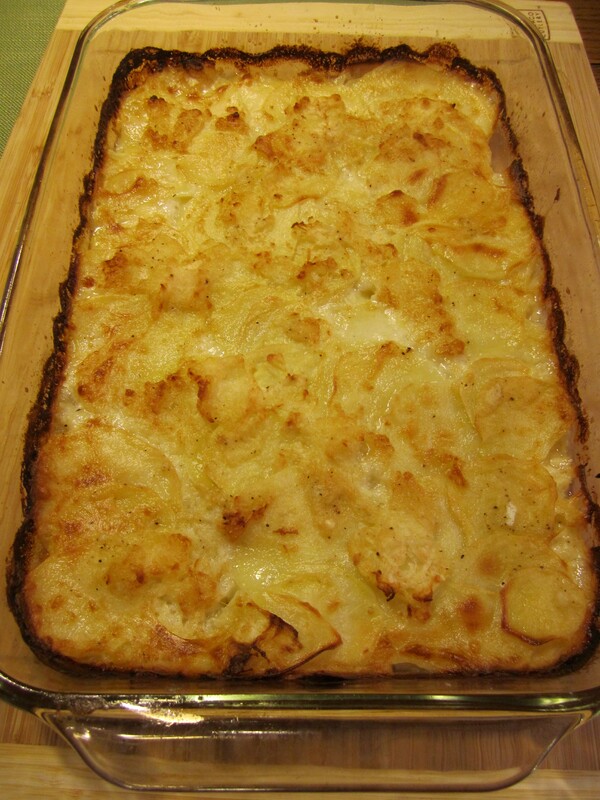 Alot of recipes call for cheese in their Scalloped Potato recipe but this one is very basic: potatoes, onions, butter, milk, a bit of flour, salt and pepper. The baking time and temperature I think is what makes these potatoes special. So give them a try. 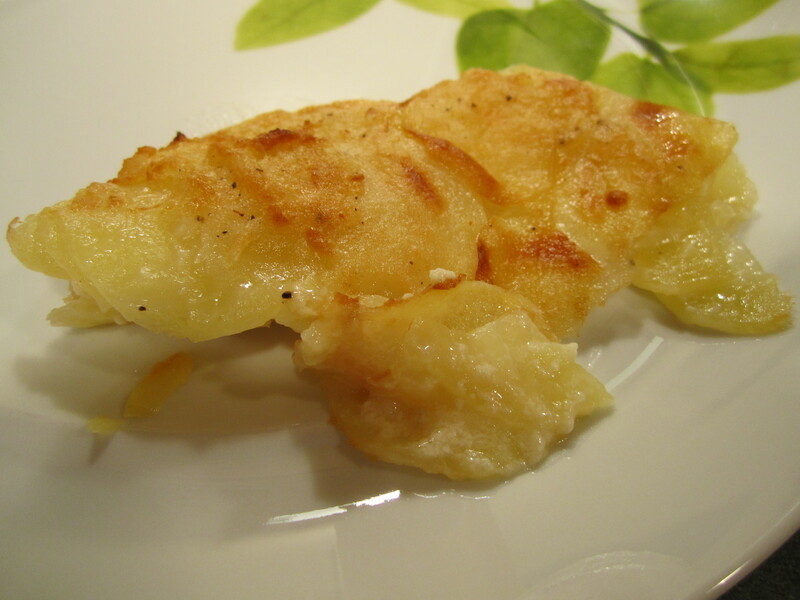 I just had them tonight with steak, very tasty! 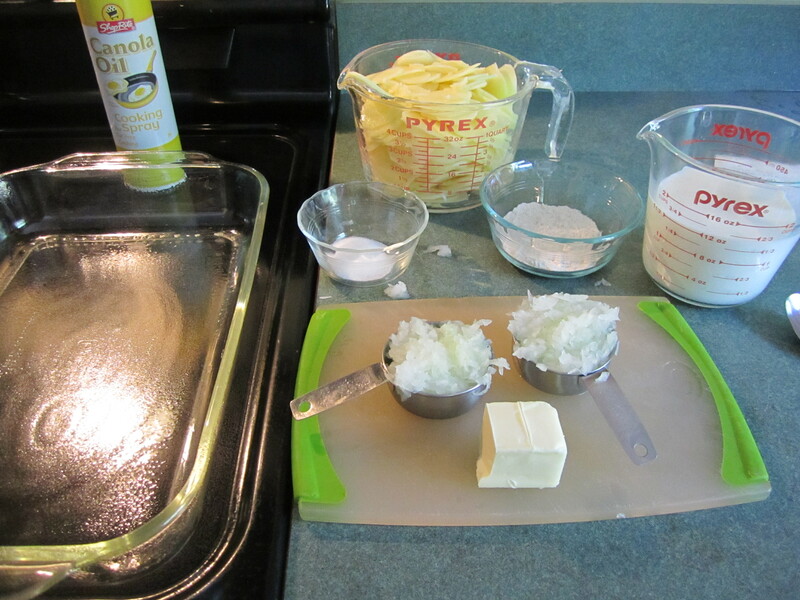 Spray a 9 x 13 inch glass baking dish with canola oil spray. 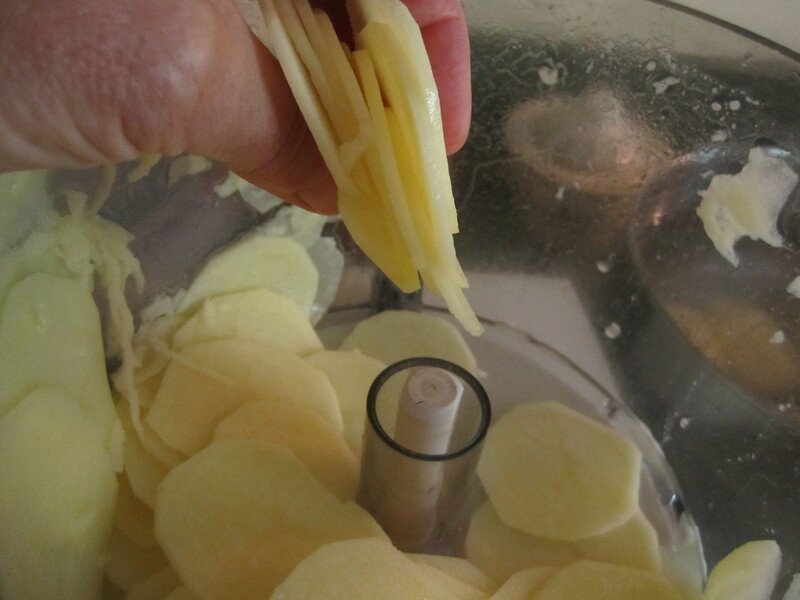 If you have a Cuisinart or similar food processing machine, slice potatoes using the 2 mm slicer. 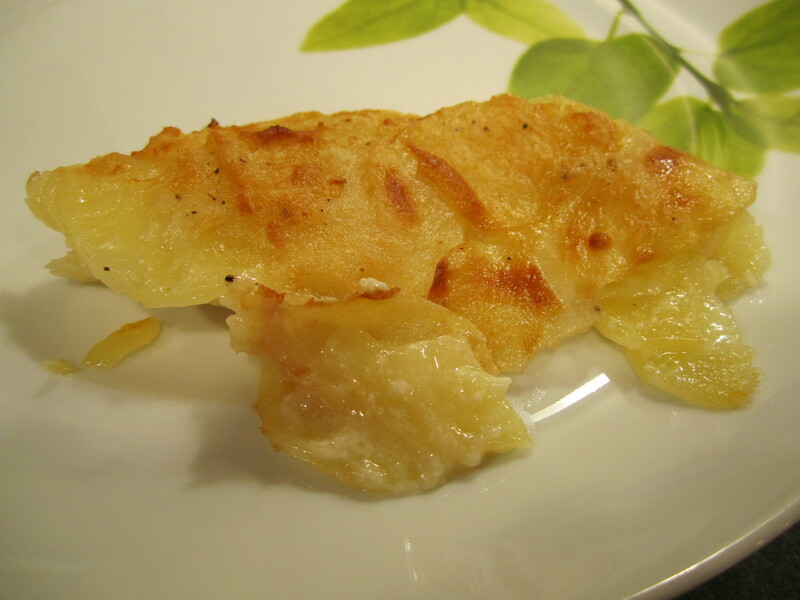 Otherwise slice potatoes by hand or use a mandolin to achieve a 1/16 of an inch thickness. Combine flour, salt and pepper in a small dish. 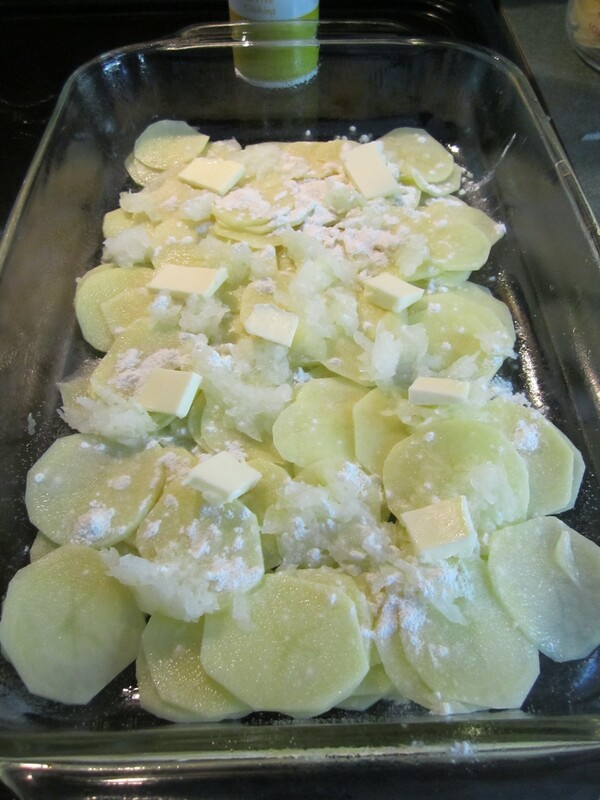 Arrange 1/2 the potatoes in the baking dish, spreading them out as evenly as possible. 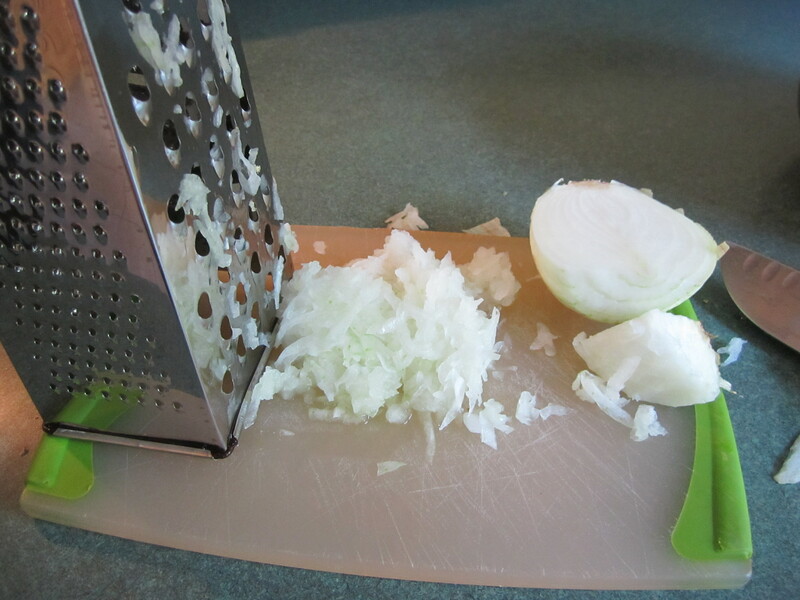 Cover with 1/3 cup of minced onion. Sprinkle with 1/2 of the flour mixture, then dot with 1 tablespoon of butter. 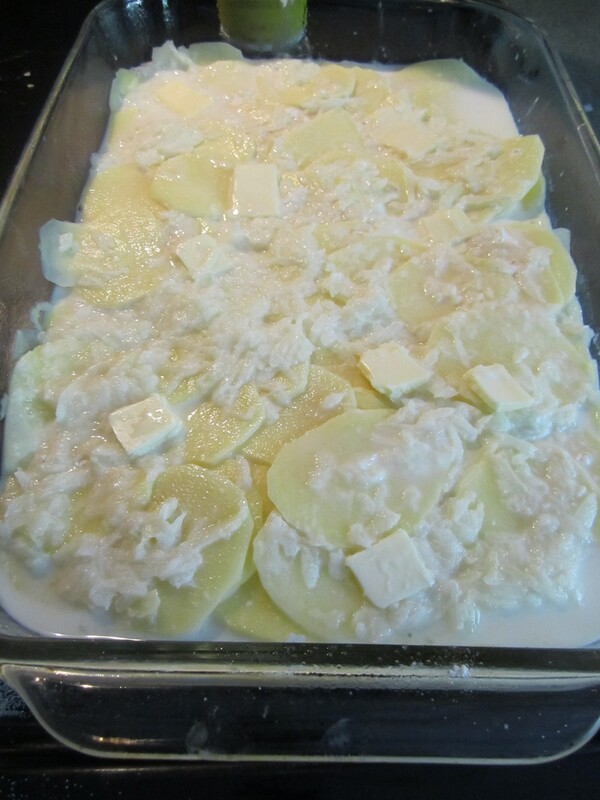 Pour milk over all and place in oven for 1-1/2 hours. Serve immediately. Made this tonight – thanks!